Lowell Street Coming From Route 128 On Left. 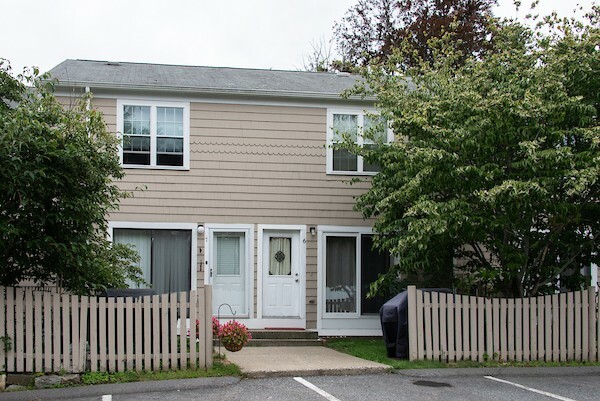 Townhouse in sought after Tannery Village. Easy access to highway and shopping. Hardwood floors on first level with living room, spacious dining room with slider leading to patio for those summer gatherings. Galley kitchen with gas stove, microwave, and refrigerator, Two bedrooms upstairs with master bedroom having a walk in closet and second bedroom having plenty of closet space. Pull down attic for extra storage . Finished basement for family room, office or exercise room. Additional storage in unfinished area of basement. Heating system and hot water less than 5 years old.